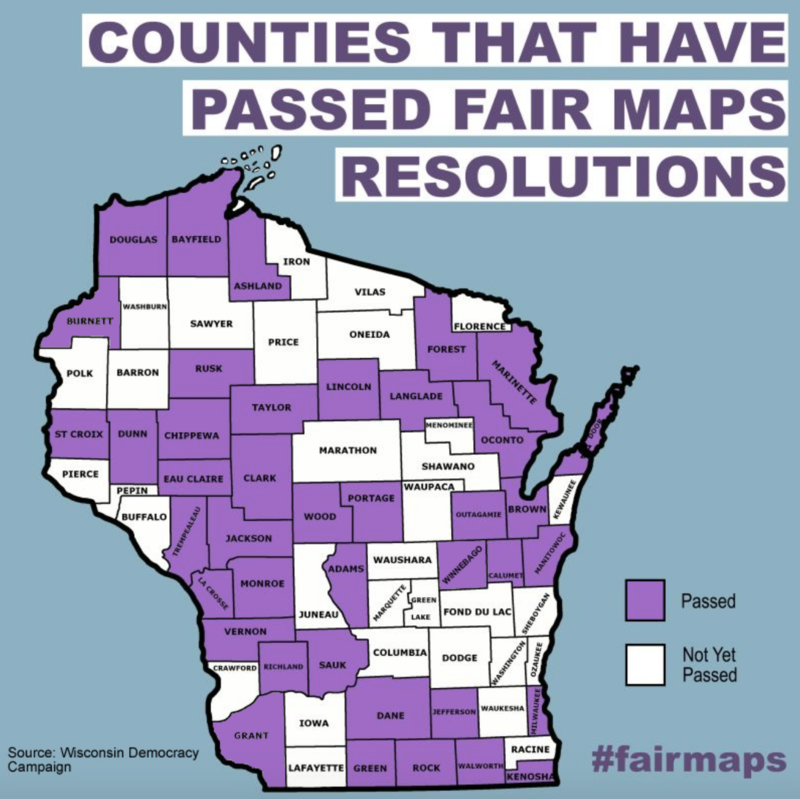 Last week Tuesday, July 17th, Winnebago County became the 40th Wisconsin county board to pass a resolution in favor of a fair maps process that's independent, nonpartisan, and transparent. That makes 55% of all counties––representing 68% of Wisconsinites––that have called on the state to pass a bill to create an independent, nonpartisan redistricting process for drawing our election maps. Wisconsinites are overwhelmingly united in ending partisan gerrymandering that puts party over people and politicans over voters. The fight for a nonpartisan, independent commission has been championed by the League in Wisconsin since the 1970s while both Democrats and Republicans have had control of the state government. Now is the time for both parties to recognize a fairer process of map drawing. Lawmakers need to be accountable to voters and support legislation that will take the power of map-drawing out of partisan control and give it to an independent body, with plenty of public input, in the interest of fairness and democracy.